Address: No 94, Jalan Wong Ah Fook, Johor Bahru, Malaysia. 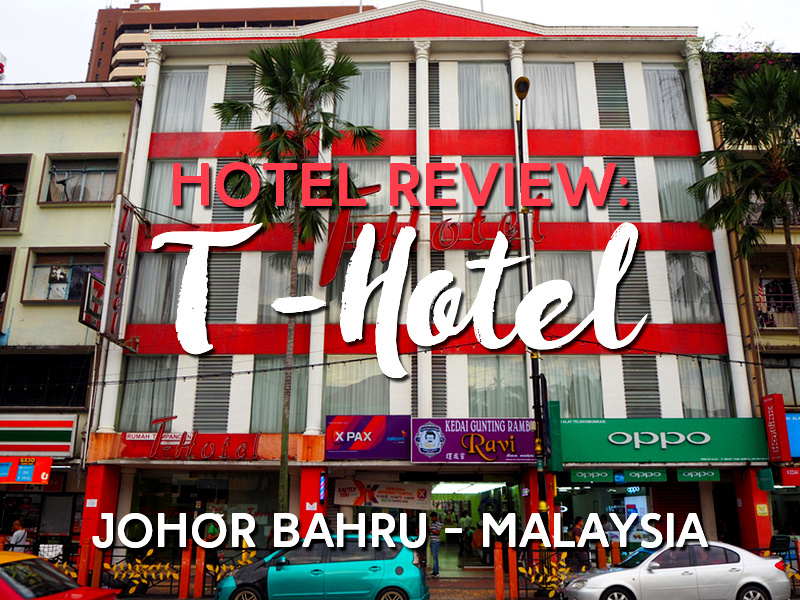 I stayed at the T-Hotel Johor Bahru in Johor Bahru, Malaysia. I was already at another hotel in JB and I needed to stay another day, so I picked this hotel for its location within the city centre. I booked online a “Superior Queen No Window”, which was $23.60 USD, plus the 10 MYR ($2.40 USD) government hotel tax which you pay at the hotel. 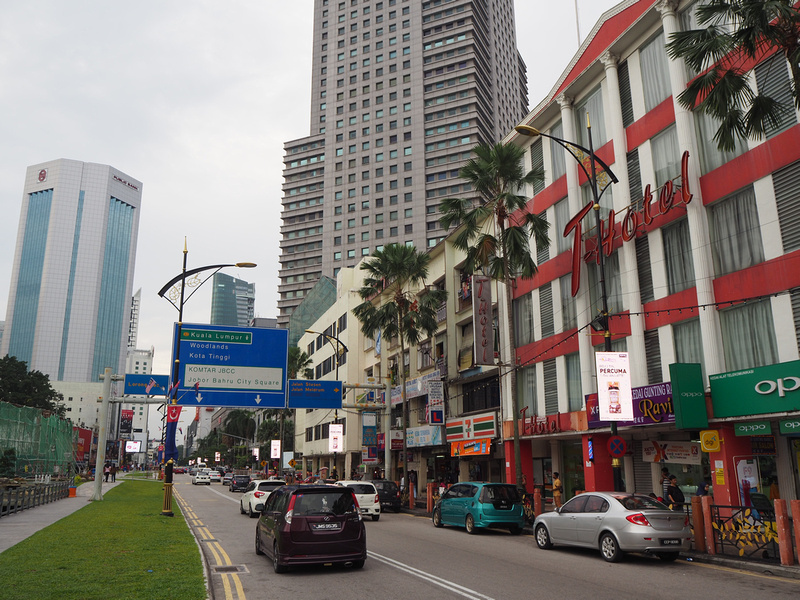 The hotel is on Jalan Wong Ah Fook, which is one of the main roads in the inner city area. This area is being redeveloped into a new city area, so the street has a mix of shiny new malls and run-down old buildings. 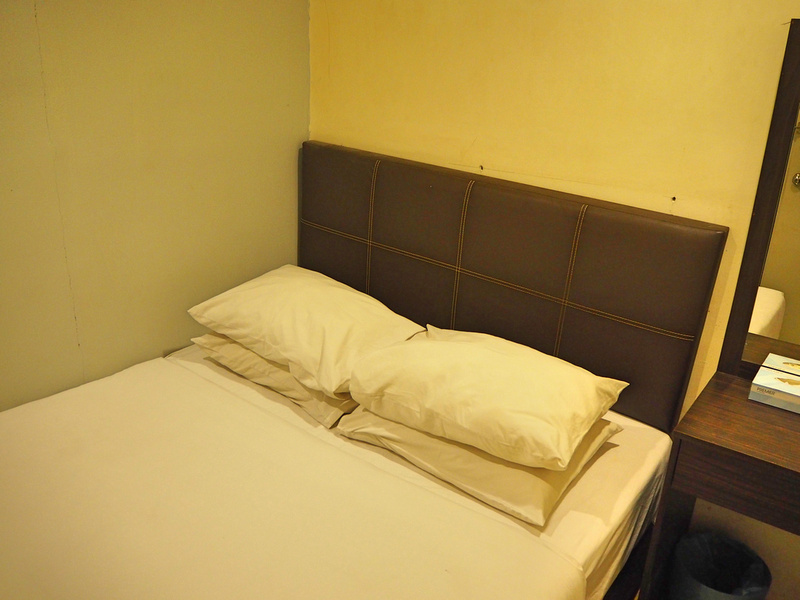 The hotel is opposite the renovated canal and nearby a Little India area. It’s also within walking distance to JB Sentral. The T-Hotel is a budget hotel group in Malaysia (or at least I have seen the same hotel in KL). I was greeted by a friendly receptionist at check-in, and then I went to my room. I was staying for one night so I didn’t mind booking a windowless room. The room was big enough for a double bed with space on the side between the bed and bathroom. The bed was comfortable and the room was air-conditioned. 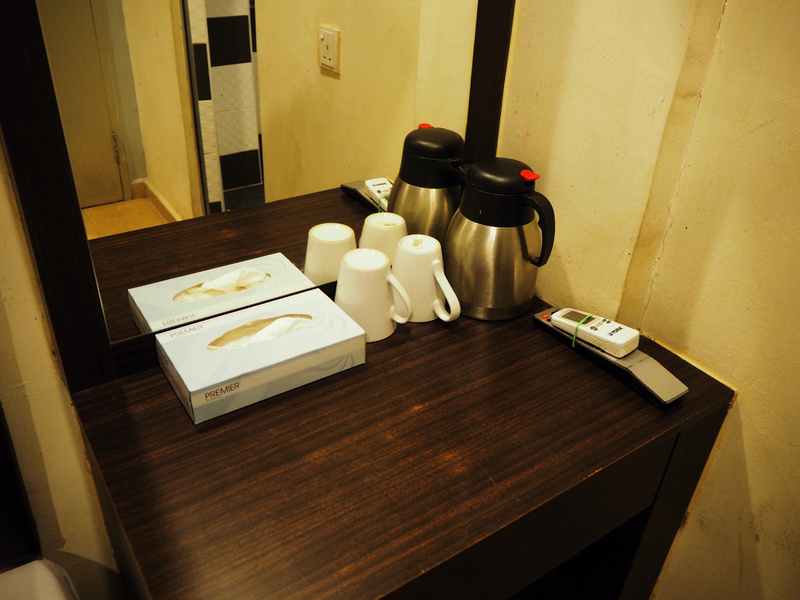 The bedside desk with a kettle and cups. The bathroom was fine. It was clean and spacious, with a good hot water system. There is free wifi throughout the property and I got a full signal in my room. There is no breakfast service at the hotel, but there are plenty of cheap Indian restaurants nearby. 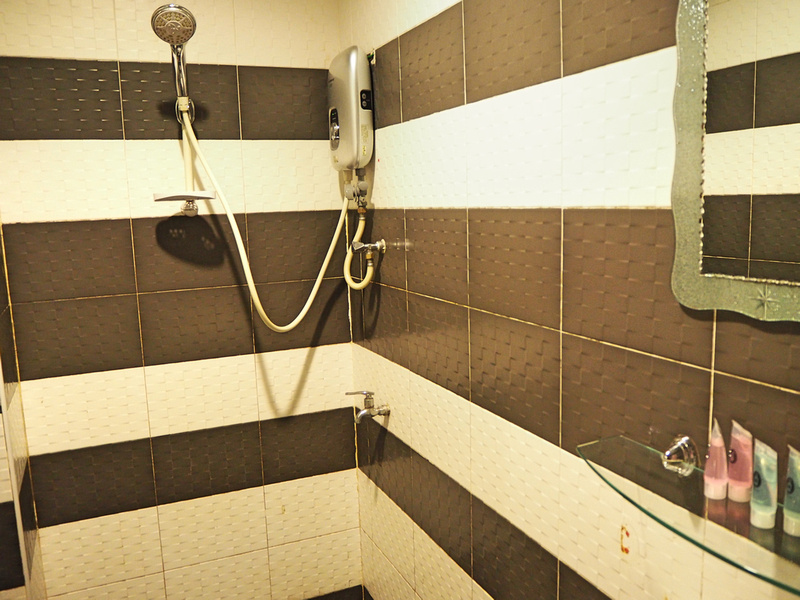 Overall this place was suitable if you are just looking for a cheap private room in JB. The windowless rooms can be pretty depressing if you stay in them too often, so maybe try booking one of the rooms with a window. I just needed a basic budget room for one night that was close enough to the main train station, so it suited my purpose. 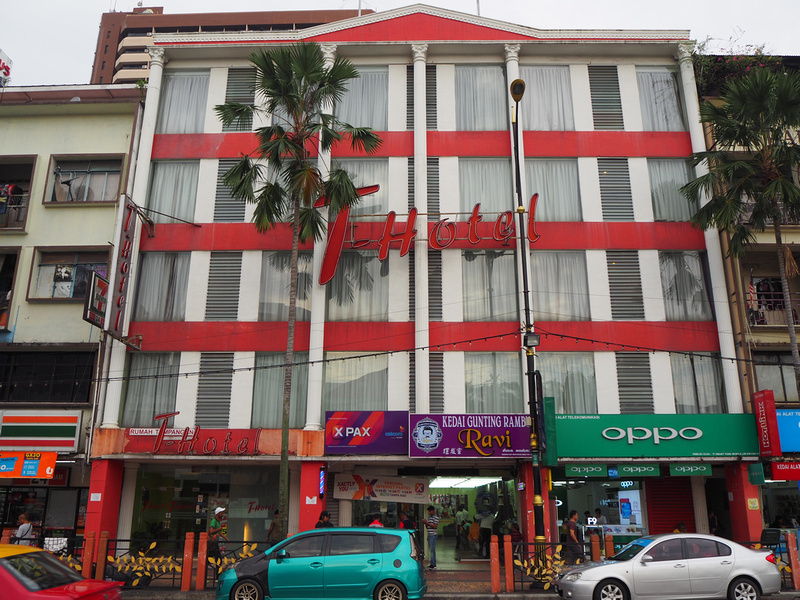 Book the T-Hotel Johor Bahru online or search for more hotels in Johor Bahru. If you’re backpacking and looking for more of a guesthouse vibe, check out this place.